I’ve been a personal trainer for 7 years, for the most part I focus on fitness and strength & resistance training but when I first qualified it was as a boxing personal trainer. This doesn’t mean I was a coach for boxers, nor does it mean that I was ever a boxer myself – I may have been punched quite a few times in my life but that is more to do with my personality flaws than the noble art. All it meant was that I was qualified to teach padwork and the correct technique for using the heavy bag. I would not have been much use to an actual boxer (there’s way too much strategy and complicated footwork involved) but I specialised in showing the correct technique for throwing punches, how to move, duck and weave. One of my pet peeves has always been unqualified personal trainers who think that they can just get their clients to throw punches at a pad. You need to be trained, and you need a hell of a lot of practice. But I digress. My clients LOVED boxing, and it got to the point where many of my sessions were nothing but boxing. Instead of being a personal trainer who could add boxing to my sessions, I was becoming a boxing personal trainer who occasionally got his clients to lift weights. After a year of this I went from one extreme to the other and stopped boxing with my clients altogether. Now I was just interested in barbells, dumbbells, and kettlebells. I told myself that boxing was not as effective as any of these for getting results. Whereas before I treated boxing like the only thing that mattered, what made me special as a trainer, now I downplayed it.I think that I probably lost a few clients as a result of that, they had enjoyed the boxing immensely and it had got them some excellent results. Now I would still say that from a muscle-building standpoint weight training is more effective, but the mistake that I made was thinking that it was an either-or situation. Combining boxing training with strength training is one of the most effective ways that I have seen for people to lose weight. See professional boxers don’t get in the shape that they are in by solely boxing, yes they prioritise it but they also complete long distance runs, lift heavy weights, follow plyometric programs and strengthen their core with ab-specific exercises. 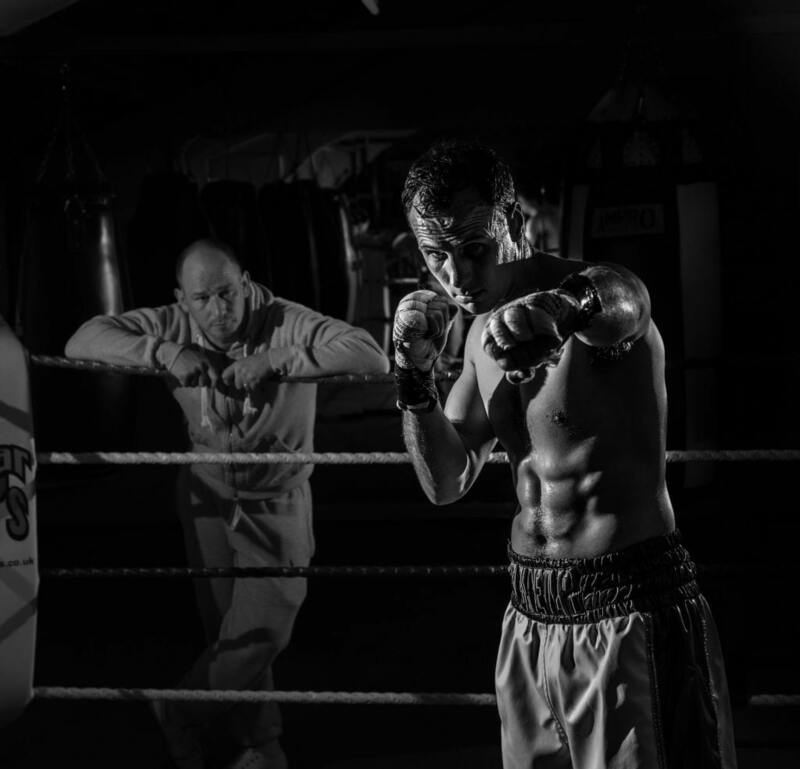 If you’re looking to get in the best shape of your life then you could do a lot worse than adding an hour’s boxing training to your weekly program. Alternatively you could finish a session with 10-15 minutes of bag work. What equipment will you need for boxing? First things first, if you’re thinking of buying a £10 pair of gloves off Sports Direct then stop it. I bought my gloves 5 years ago and they are still in good condition after being used hundreds of times, whereas I’ve seen £10 gloves fall apart after a couple weeks. Invest in a decent pair (you’re looking at £50 +) and they will last you five years minimum. If your gym provides gloves then I would still recommend buying your own, gloves are sweated in more than any item of clothing you will ever wear. If you are okay with that then fair enough, just don’t ever offer to shake my hand! Another bit of kit you’ll want is a set of boxing hand wraps, don’t try and over-complicate these, just find a pair that contain a thumb-loop. Don’t get any with padded knuckle protectors, or ones that are just mini-gloves. All you want is a long thin piece of material that you can wrap around your hands. That’s about it really, obviously you’ll need a punching bag or set of pads (with qualified instructor to hold them) but more and more gyms every year are adding these to their set ups. Where can you learn how to box for fitness? Your best bet is a boxing club, or qualified PT but there are also websites that provide excellent videos and articles. As with anything, put in the work, don the research and you will be rewarded. One reason why my clients got such good results from boxing is because it is genuinely enjoyable, when something is fun to do it is a lot easier to stick to. Being consistent with any form of exercise will get you excellent results (provided your diet matches it), and for this reason boxing (or any form of martial art for that matter) is a great addition to your training program. Your fitness will increase fast once you start boxing.